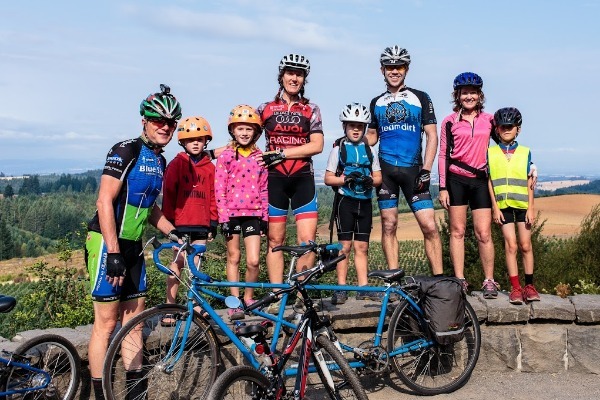 The MVBC is a non-profit club centered in Corvallis, Oregon (one of the top 5 small bike-friendly cities in America, according to Bicycling magazine). The club was founded in 1974, and is open to cyclists of all ages and abilities. They have several ride options every Saturday morning touring the surrounding Willamette Valley and Coast Range Mountains. Summer (May - Sept) Saturday rides meet at 8AM, 9AM, and 10AM. The rest of the year (Oct - April) Saturday rides omit the 8AM option. Unless noted otherwise, Saturday morning rides depart at 15 minutes past the hour from the Osborn Aquatic Center near the corner of Circle Blvd and Highland. For complete information, visit MBVC.com.